Project Cataloguing Archivist Clair looks at the role of the health visitor in the fight against TB. 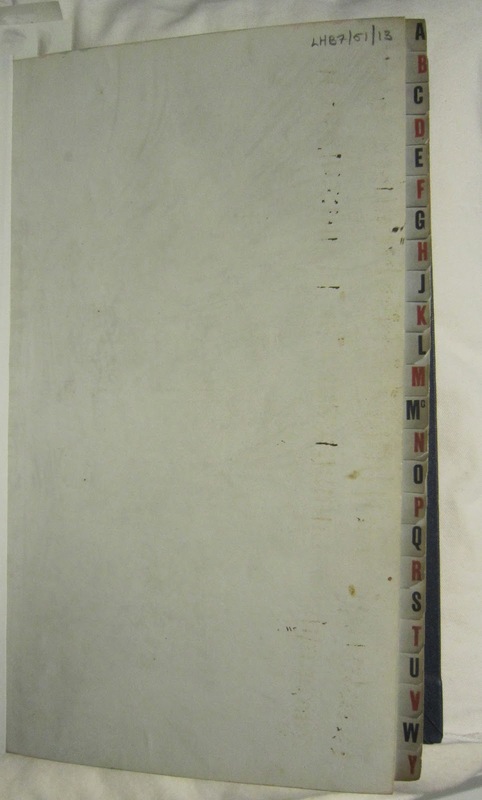 August sees the return of LHSA’s RVH vs. TB, Wellcome Trust funded cataloguing project. 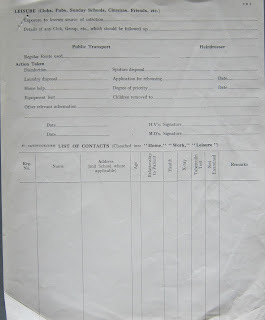 The project which began in August 2015, sets out to catalogue c.25, 000 case notes from the Royal Victoria Tuberculosis Trust and associated hospitals. Covering the period of c.1920 – 2000 the records provide a detailed account of the fight against pulmonary TB at a time when the disease posed a serious threat to public health. The collection contains four series of which two have already been catalogued and I will completing the cataloguing project by the end of April 2018. I have now worked with a few different case note collections belonging to different medical specialisms. 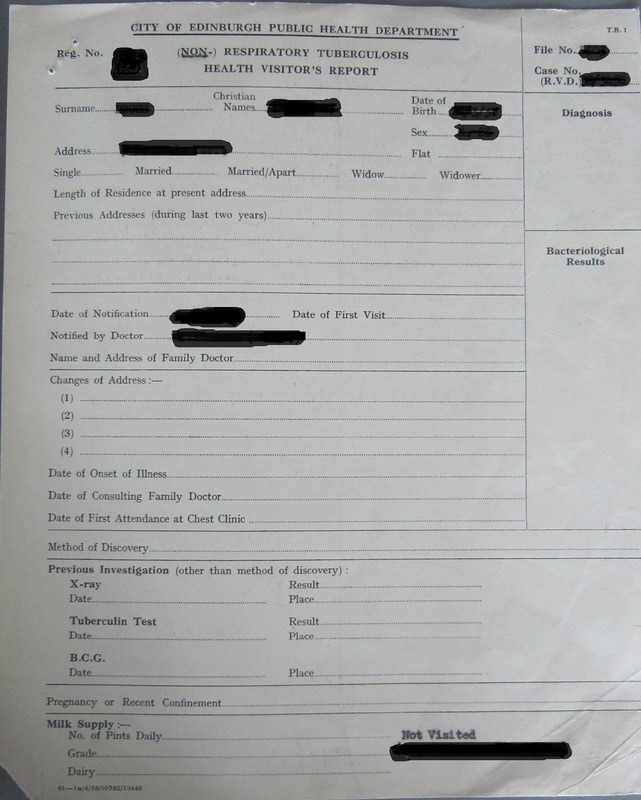 Although we have been implementing the same methodology in order to catalogue these collections, there is always going to be some variation in the types of documents found in the case notes. The fourth series of the TB case notes holds c.2000 individual patient case files from the Royal Victoria dispensary for Diseases of the Chest. 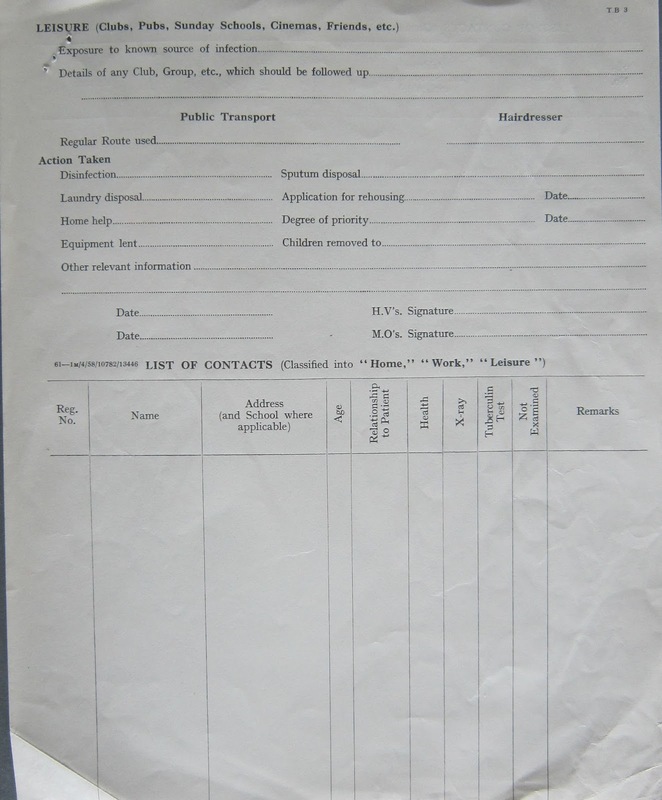 Within the case notes I have found a few different types of documents that I have not come across in other collections, in particular health visitor reports and contact sheets. 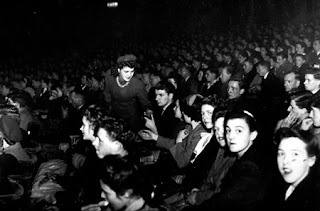 Being an infectious disease, tuberculosis was deemed a matter of public health and public authorities had to take action to stop the spread of the disease. This included keeping track of all the persons who had been in contact with an infected patient, mainly their family but also their landlord and neighbours when applicable. 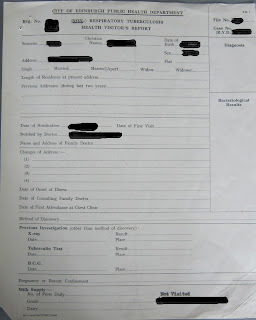 If a person was deemed at risk they were recorded in the patients file, normally on a contact sheet or in the health visitors report. At the end of the report there a section which suggests the action that must be taken, in consideration of the information gathered from the report, depending on how severe the risk of infection was. Interestingly this could stem from simple hygiene changes, for example, disinfecting the home or ‘laundry disposal’, to extreme measures, including, applying for rehousing or removing children from the home. The health visitor reports are really interesting because they reflect on the medical state of a patient in relation to the environment they and their family lived in. Moreover they lend themselves to potential social research because of their in depth analysis of standard of living and lifestyle. 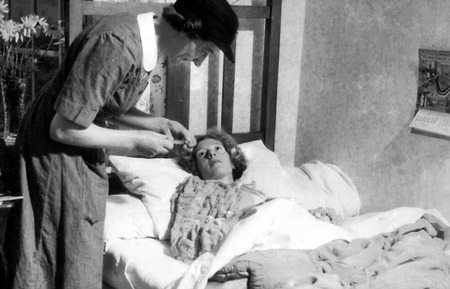 TB health visitor visiting elderly lady 1952. Audience at TB public health campaign, New Victoria Cinema, Edinburgh 1947. Buchanan, S. The Health Visitor and Tuberculosis (1955), p.21. The current BBC series, Trust Me, follows staff nurse Cath Hardacre from Sheffield to Edinburgh. Suspended for whistle-blowing down in Yorkshire, she seizes a chance for a new life when a job is advertised working for 'South Lothian NHS Trust' at the 'Southern General Hospital' (some death certificates actually do state this institution, which was possibly an early twentieth century name for the infirmary at Glenlockhart poorhouse). The only snag is, the post is for an A&E doctor, not a nurse - but Cath's doctor friend Ally has just left Sheffield for New Zealand, fortuitously leaving her CV prominently in the bin. Cath plucks the document out, watches a few YouTube videos, applies for the Edinburgh job under Ally's name and is soon enough installed in a very nice flat with a view of Arthur's Seat. After all, being a doctor in A&E can't be too hard, can it?? Is deep and bright, with steady looks that still. His face at once benign and proud and shy." And makes us all like, pity, and despise him." 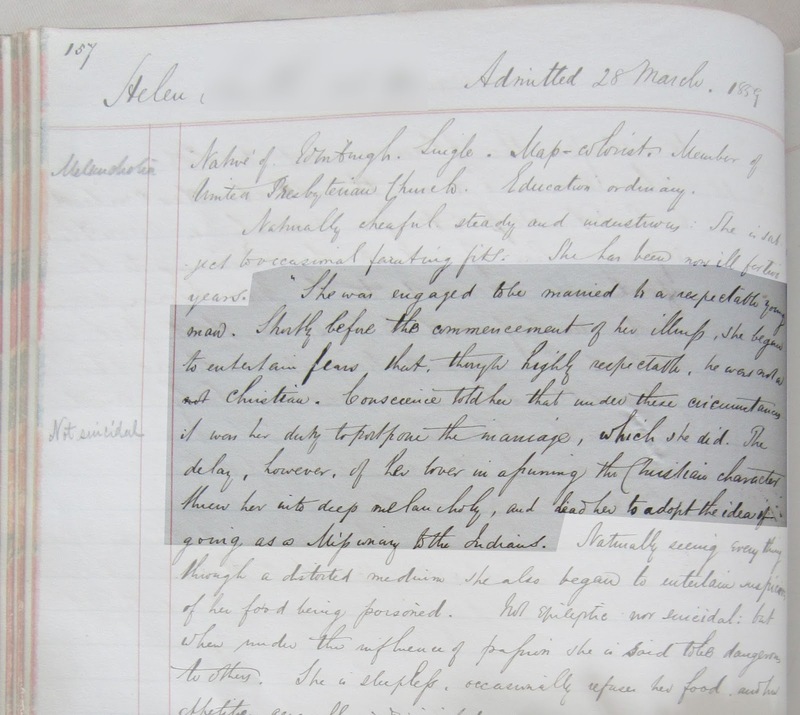 Admission for an Edward Boyle, 'master mariner', admitted on 2 March 1874, bottom line (LHB1/126/40). And Hope - sweet Hope - succumbs to Death alone." 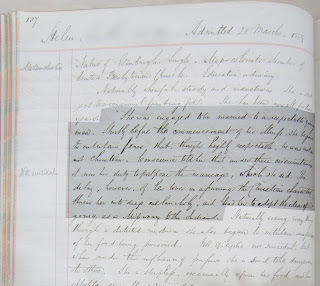 We continue our journey into the Royal Edinburgh Hospital case books with our second volunteer blog. This one is from Carmen, a first year history student at the University of Edinburgh. Since I began volunteering for Lothian Health Service Archives in April of this year, I have discovered a whole new perspective of eighteenth-century psychiatric treatment. Having the opportunity to access the Royal Edinburgh Hospital records has allowed me to have a glimpse of the lives of those who needed said treatment, and also the attitudes towards them. 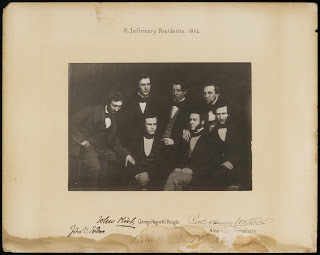 When I first started cataloguing the volumes I was looking at mostly pauper patients – those whose treatment was funded by their parish – and I really resonated with many of those who found themselves suffering from mental illnesses. There was one patient in particular who stood out to me as she had lost 4 children within the space of a year because of diseases such as tuberculosis and typhoid. I remember thinking that any person would find themselves mentally vulnerable if they had lost so many loved ones in such a short period of time. There were also other records of other women who had been admitted because they had symptoms of what we today would diagnose as postpartum depression. By just looking at these records, it is clear that we have come a long way in terms of both diagnosing and understanding mental health problems. Since finishing my first volume, I have now moved onto one of the Hospital’s volumes that was specifically for private patients. What is most interesting about this volume is that because these patients were paying significant sums of money for their treatment, the doctors were more likely to include information about their personality. For example, it was said that one patient was “the most generous of men” and was known for buying magazines and newspapers for everyone in the ward. 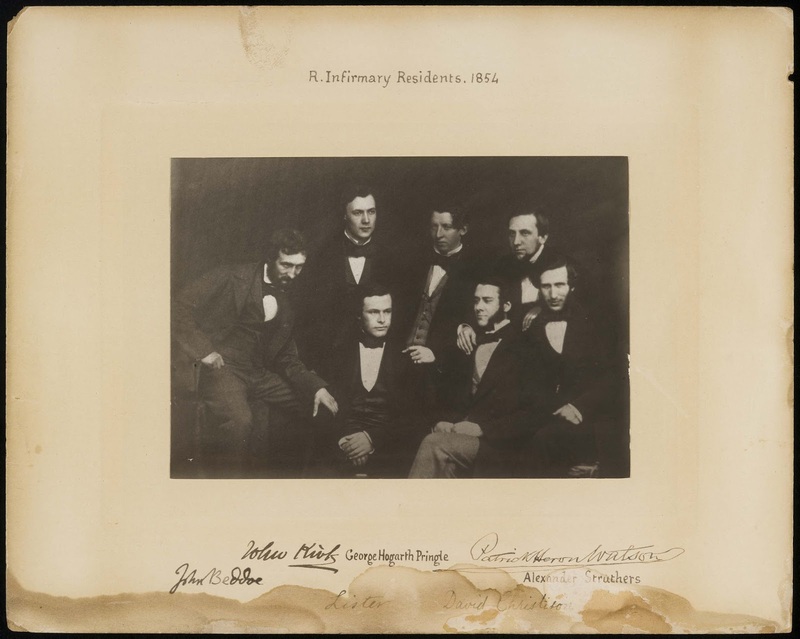 Others were not described so kindly, with one being labelled as “a moody, taciturn old man” who entertained himself by scribbling on any pieces of paper he could find; and another “sullen” for refusing to speak to any doctor but Dr Clouston, the director of the entire hospital. Another patient was admitted because she had “delusions” that she had been seduced when she was young - whether this was actually a “delusion” or not is questionable. Information like this is invaluable in helping historians understand the lives of those who suffered from mental health issues in a time where knowledge on the subject was limited. If not for these insights from contemporary doctors, we would not know what the people who were treated at these hospitals were really like. Another interesting discovery I had when looking at these volumes was the fact that many of these patients seemed to go to “Cockenzie” for several weeks at a time, and little else of the place is mentioned. When I brought this up to Alice, the Archive’s Access Officer, she suggested that the patients may have had something like a holiday home - as Cockenzie is by the coast – and may have gone there to get into the open air and get a break from the city. If this is true, this is fascinating as it shows that Clouston could put another of his theories into practice. Dr Clouston was a strong believer that people had to have a positive environment in order to have a positive mind, and he tried to ensure that his patients lived in the best conditions possible because of this. Since volunteering at the archives, I have been fortunate enough to also read several of Clouston’s published works, including one in which he explains that his inspiration for the asylum layout came from a luxurious Swiss hotel. However, as the volume I am cataloguing has not been looked at in much detail yet, the archivists here at LHSA still know little about Cockenzie and what that actually meant for the patients at the Royal Edinburgh Hospital. Nevertheless, that is one of the best things about working in archives and handling contemporary material: we may never know what Cockenzie actually was, but by looking at the records we have in our collection, we do know that it existed and was of some significance to the daily life of the hospital. Overall, I have loved every minute of volunteering at the LHSA Archives and think it is fantastic that the University offers its students the opportunity to look at the wealth of material that they have in their collection. I have been able to learn even more about the city that I now live in and love, all the while gaining invaluable skills that will prepare me for my dream job in the heritage sector. One of our wonderful Twitter followers has unraveled this mystery for us! 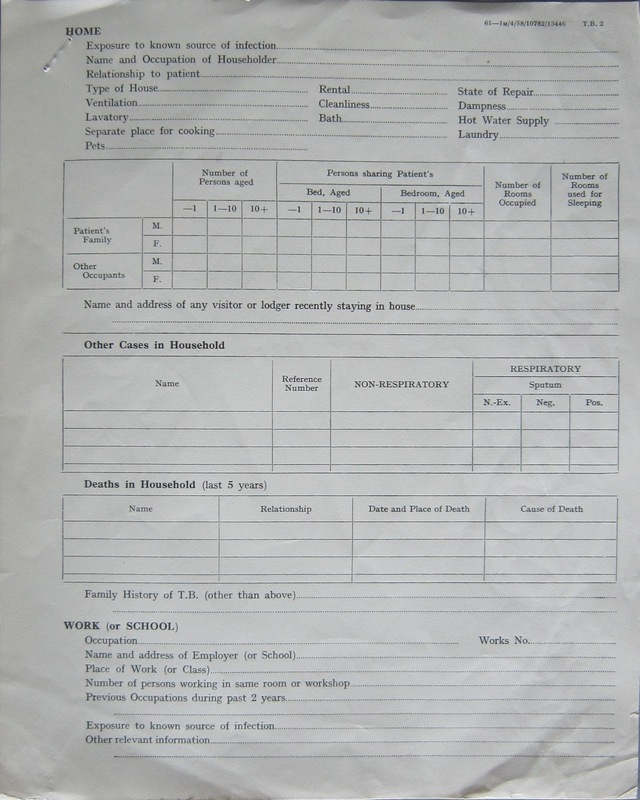 Kirsty Nicol (@Kirsty_Nicol) dug into census records for Cockenzie and found a property called Hawthorn Villa, with residents who gave their occupations as Medical Students and one Asylum Matron. She then checked this information against digitised map collections held at the National Library of Scotland, and found that Hawthorn Villa was a property on the Western edge of Cockenzie. This certainly seems like a likely candidate for a convalescent-type home! Many, many thanks to Kirsty for her outstanding detective work – and what a fabulous example of the benefits of digitising collections! Hi there. I'm a freelance researcher and I can't resist a challenge! We're handing over to our volunteers over the next two weeks to hear a little more about the Royal Edinburgh Hospital case book indexing project they've been working on. Starting us off is Iona, who recently graduated with a first-class history degree from the University of Edinburgh. Since April I have been helping with the Royal Edinburgh Hospital Case Book indexing project to create a database of patients admitted between 1840 and 1932. Every week I work on my own volume detailing the cases of women admitted from the late 1850s. I have gleaned amazing details of what these women’s lives were like across social strata within the wider framework of Victorian attitudes towards medicine and gender. Every case illuminates the perception of women’s greater susceptibility to different forms of ‘mania’, many related to life-cycles of puberty, menstruation, childbirth, menopause, and old age. Working through the case entries, I am very aware of looking at a top-down source; the female patients are viewed through the prism of the medical institution and the men that run it. At times, it is almost as if I am reading a novel with unreliable narrators, trying to prise the text apart to catch a glimpse of the patients’ point of view. Despite this limitation, many stories are harrowing, dramatic, even amusing, with a strong sense of each woman’s individual character. This interplay between the patients’ experiences, the narratives of the medical men, and my own subjective interpretations is fascinating, a unique way of bringing history alive. The intertwining of morality and medicine pervades the volume, from the formulaic language describing patients’ everyday behaviour as ‘industrious’ or ‘slovenly’ to diagnoses of ‘moral insanity’. The unsettling combination of familiarity and strangeness in the way that the doctors evaluate their patients is highly compelling. Through my modern lens, it seems straightforward to identify symptoms of alcoholism, post-partum depression, and the simple need for people to receive more care as they get older. The doctors’ assessment of these cases range from comparatively up-to-date understandings to the down-right odd, my favourite example being the condemnation of dissipation through excessive tea-drinking. The following are my highlights from my case book volume. I have chosen just a few examples to demonstrate some of the themes I have found particularly interesting during my time at LHSA. Each entry makes some reference to the patient’s occupation and class, revealing the social roles of women at the time. 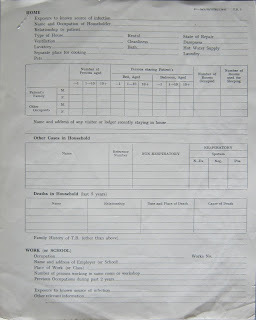 The entries often identify patients by their husband’s profession, such as brewer’s wife or sailor’s widow, and if employed are most often domestic servants or seamstresses. I have found tantalising exceptions among these common entries, such as Clara the London stage-dancer and Helen the map-colourist. In addition, cases like that of 26-year-old Christina reveal contemporary wariness of female education and ambition. Her ‘acute mania’ was caused by ‘something which had excited her beyond ordinary’, which turns out to be ‘the study of composition’ and her attempt to write a novel. This diagnosis connects Christina to many women of the later nineteenth- and early twentieth-century whose literary energies were medicalised in connection to their mental health. Two of the most famous examples of this are Virginia Woolf and Charlotte Perkins Gilman, who both wrote about the frustrations of their medical treatment. 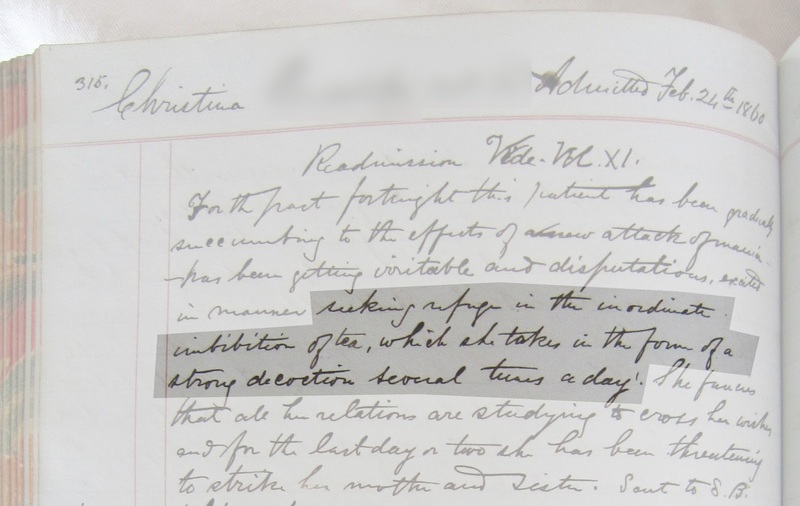 In 1882, the Royal Hospital’s own Dr Clouston gave a lecture entitled ‘Female Education from a Medical Point of View’, which demonstrates the widespread disapproval of these developments. He states that new school curricula have ‘warped the woman’s nature, and stunted some of her most characteristic qualities’, not only to the detriment of the female population but to the health of the nation itself. In this way, Christina’s case and Clouston’s lecture hint at how women’s bodies became ideological battlegrounds over medical practice and appropriate gender roles. As the previous cases show, most often the entries convey the attitudes of the hospital staff, yet some details display the strong moral compass of the patients’ themselves. Helen was engaged to a ‘respectable young man’ but ‘began to entertain fears that…he was not a Christian.’ This led her to postpone the marriage but ‘the delay of her lover in assuming the Christian character threw her into a deep melancholy.’ Interestingly, her postponed marriage also led Helen to ‘adopt the idea of going as a missionary to the Indians.’ I like to think that perhaps her work as a map-colourist encouraged her desire to travel as well as her deep religious sensibilities. One of the most bizarre attributed causes of mania I have found in my casebook is the effect of excessive tea-drinking. For example, another patient called Christina sought refuge ‘in the inordinate imbibition of tea, which she takes in the form of a strong decoction several times a day’, a good summary of my own tea habit. As with alcoholism, the risks of tea were linked to women’s natural weakness and susceptibility. This is also suggested by an article entitled ‘The dangers of tea drinking’ by a Dr J E Cooney published in the Windsor Magazine in 1895. Cooney writes: ‘Warm tea-drinking is very popular with women, and is quite an institution in this country. It is drunk at all hours – even before rising in the morning – but the climax is reached at about 4pm. 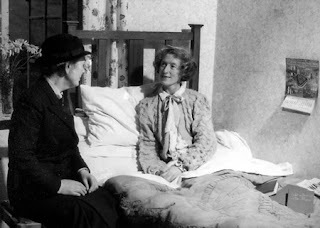 Many, in the course of paying their afternoon calls, drink no less than a dozen cups of tea…that one is naturally left in astonishment of the depravity of their sense of taste, without contemplating the terrible consequent ravages their respective constitutions must inevitably undergo.’ To me, Cooney’s focus on women’s daily social rituals conveys a sense of uneasy disdain not just for tea drinking but for codes of female behaviour in general. This is heightened by the next paragraph, evoking the image of a deviant female cult: ‘Tea-water worship, carried on by its fair devotees in the prettiest of drawing-rooms, in the smartest of tea-gowns, with the daintiest of paraphernalia in the form of silver and china, may to a large extent disarm them as to the real nature of this insidious but implacable fiend, but nevertheless it is there.’ The article further reinforces the dangers of this ‘implacable fiend’ through its illustrations, which juxtapose rough men drinking from bottles on the street with well-dressed women before trays and teacups. Although this connection of tea with ill-health and morality is funny with hindsight, it provides a fascinating example of how medical attitudes could be bound up with ideas of class and gender. This blog has been only a small taster of the remarkable stories of women admitted to the Royal Edinburgh Hospital in the nineteenth-century. My attitudes towards history have been greatly enriched by this experience; I have thought much harder about the many filters that lie between the past and present, and about my own subjectivity as a researcher. I encourage anybody interested to volunteer with LHSA for the privilege of spending time with these fractured but powerful voices of history.